Dog Inn At Wingham - Hotel Hotel Canterbury Road, Littlebourne CT3 1BB. Dog Inn At Wingham - Hotel, Canterbury Road, Littlebourne CT3 1BB. Set within a Grade II Listed former coaching inn, this charming residence occupies a prominent position opposite the church in the picturesque village of Wingham, just outside Canterbury. Personally run by the owners, Richard and Sherry Martin, The Dog Inn at Wingham has been carefully restored to provide a harmonious fusion of 13th century features and modern comforts. All rooms are different sizes and layouts, some with heavy beams and amazing period features. The Dog Inn also has a very popular restaurant which is featured in Egon Ronay's latest guide to the UK's best restaurants and gastropubs. It serves traditional homemade meals, prepared using the finest local produce. 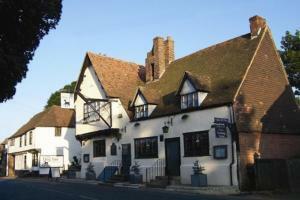 Hotels in Littlebourne: Dog Inn At Wingham - Hotel, Canterbury Road, Littlebourne CT3 1BB.